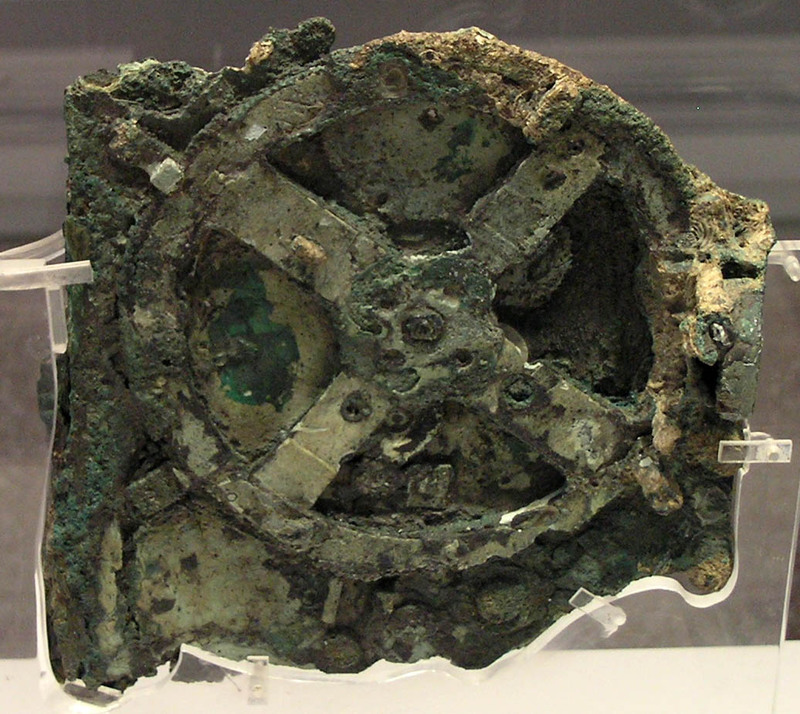 The Antikythera mechanism is a strange astronomical calculator. It was discovered in a shipwreck off the Greek island of Antikythera in 1900, and is astoundingly complex. It was a bronze clockwork device with at least 30 gears, and looks like something from the 1400s. But recent research indicates that it likely dates earlier than 200 B.C. 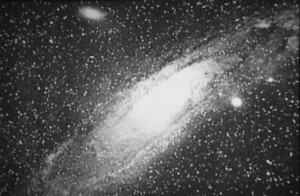 Because of its anachronistic nature, it’s often associated with ancient aliens or the lost city of Atlantis, but the device itself doesn’t calculate anything ancient astronomers didn’t already know. By that time observational astronomy was quite sophisticated. The manufacture of the device also doesn’t utilize any construction methods that weren’t known at the time. What’s astounding is that this astronomical knowledge and manufacturing was combined to create a precision portable calculator. Simulated reconstruction of the device. Although found on a Greek ship and having Greek engravings, the layout of the device follows Babylonian astronomy. The device calculated the Egyptian solar calendar, as well as the Metonic lunar calendar. It predicted solar eclipses, and even calculated the timing of the Olympic games. It even calculated the positions of the Sun, Moon and planets along the ecliptic. The planetary positions are not particularly accurate, since they use the Greek model of perfectly circular orbits. 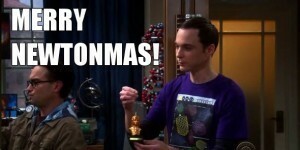 Still, it is an astounding demonstration of human ingenuity. Given its sophistication, there are likely even earlier versions that were constructed, though we have never found anything else like it. How such a calculating device was developed, and when that knowledge was lost, remains a mystery. Hello – minor correction here – it was found on a Roman ship that was transporting Greek goods. Also, though I don’t have a ref on hand, I believe the device was ultimately found to have an estimated 40 gears, though I do not know what additional functions were found.